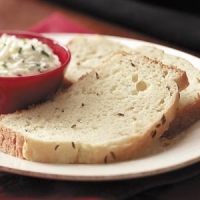 Stir all ingredients rapidly and place in a greased bread tin. Bake at 350° for 30 minutes. Take out of oven. Butter top to brown and bake an additional 5 minutes. Suggestion: After 35 minutes, turn oven off and leave in oven for 10 additional minutes. Cool and cut. 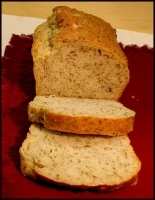 Recipe categories: Breads, Low cholesterol, Low fat.